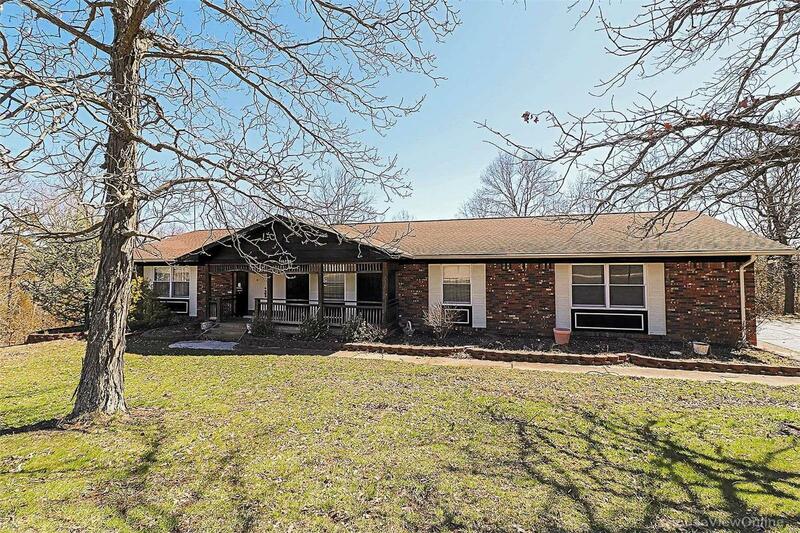 Huge, ranch style 3 bedroom/2 bathroom home close to golf courses and Country Club in Terre du Lac. Wall of windows in rear of house offer great views of the back deck, woods, and nature (no houses on either side). Living room has brick-front W/B fireplace with stove insert and blower. Built-in shelves to each side. Kitchen has breakfast bar with an open plan layout that adjoins the family room, which has newer laminate flooring. Master bedroom has en-suite bathroom and walk-in closet. Huge, main level laundry and additional storage room/office. Full, unfinished, walk-out basement has lots of shelves for storage, a workshop area, plus another W/B fireplace (current owners did not use it, as it has no insert) and rough-in for third bathroom. Selling AS IS.